Four world premiere recordings of works dedicated to Szymanski by Coles, Oliva, McNeff and Roth as well as Iannarelli´s enthralling coffee pieces and popular works by Barrios. 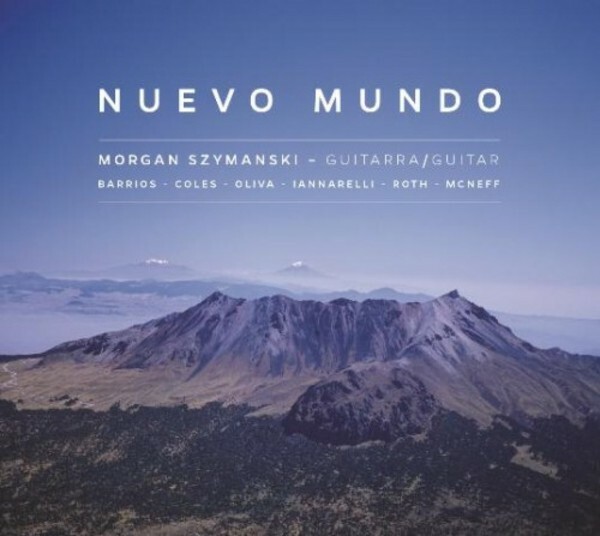 Born in Mexico City in 1979, Morgan Szymanski has established himself as one of the leading guitarists of his generation. Since winning the Young Concert Artist Trust competition in London he has performed in over twenty countries world-wide. As a soloist he has performed with the Royal Philharmonic Orchestra, the Academy of St Martin in the Fields and Hallé, among others. He is frequently heard on BBC radio and has broadcast world-wide. He set up Sarabande Records in London to promote the recordings of his ensemble Machaca, with whom he has produced two discs to international acclaim.